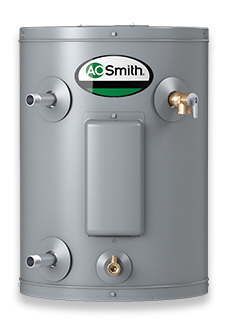 AO SMITH RESIDENTIAL ELECTRIC HEATERS 6 to 55 GALLON | Maurro and Sons Plumbing and Heating Supply, Inc.
We DO NOT offer Online Pricing. The ProMax® family of electric water heaters offers unmatched value and quality. The full product line meets the energy efficiency requirements set forth by the Department of Energy and qualifies for most utility rebate programs. All models are equipped with PermaGlas® glass coating, certified T&P relief valve, and long-lasting low-watt density copper heating elements. 2012© Maurro and Sons Plumbing and Heating Supply, Inc.